Rid your home and office of pesky rodents with these Rodenticide Pellets by Yates. 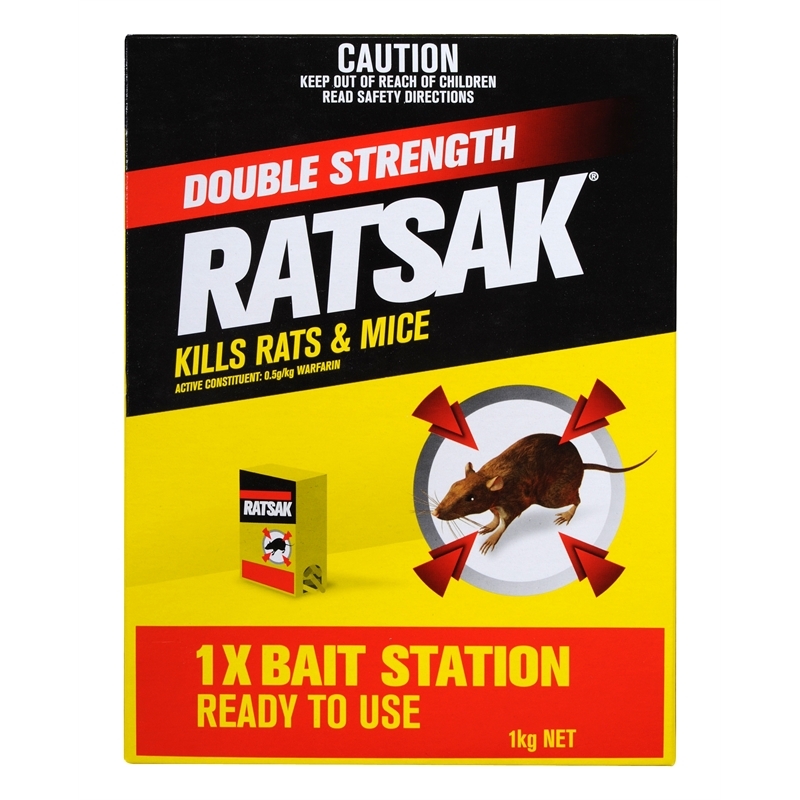 Easy to use, Ratsak kills rats and mice after feeding on the pellets, working for up to two weeks. The pellets contain a lethal dose of warfarin, an anti-coagulant that is effective for the control of rats and mice. Rodents must feed over a number of days in order to ingest a lethal dose. Place baits where they are inaccessible to children, animals or birds. Do not allow the bait to enter drains, sewers, streams or ponds. Dispose of dead rodents safely. Do not use bai tcontainers for any other purpose. Warfarin is a long last anti-coagulant which will kill rats and mice. It is a mutli feed bait and may take up to 14 days to be effective.